Wow well thanks for the kind words Kevin however I think I sound like crap but I guess that’s just the lousy mic. P.S. I feel this was your best pod cast to date I feel you really added your funny side to it ! Thanks once again, Paul, for the really kind words. I’m really excited you are getting so much out of the show. It’s great to know you are there. Hi Kevin. I just came across your site and love it! You do a great job of digging deep into the music and giving new life to many of these old (and new) Yes favorites. I agree that the studio tracks on “Keys – Part 2” are very strong, with plenty of the classic Yes flavor. 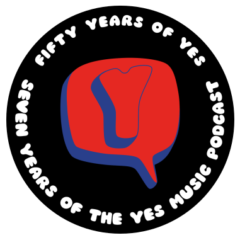 I guess you can take Rick Wakeman out of Yes, but you can’t take the Yes out of Rick Wakeman! Thanks again for this excellent resource. Hi Todd. It’s great to have you along for the ride! I look forward to sharing lots about the world’s greatest progressive rock band! Only a year late, I’m ploughing through my Yes cds along with your episodes. The live songs on these two album sets make me think I’ve died and gone to heaven. I don’t think I’ve played these cds more than a couple of times since I got them as new releases. That’ll teach me! The studio tracks are much better than I’d remembered them. I take back what I said about them in my email. Well, that’s the idea of the podcast! I’m glad to have helped you rediscover these albums – as you say, there’s much to enjoy!